We are way overdue for an update on Star Reams. 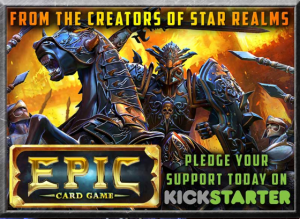 We have been heads down getting ready to launch our newest game, Epic Card Game, on Kickstarter today (over 100% funded on Day 1 THANK YOU!!! ), but we also want to make sure you know that we have some fabulous news about Star Realms too!!! The second Gambit set, Cosmic Gambit Set, is coming out in stores in September. We will have a limited number of preview packs at the Origins game convention in Columbus Ohio this weekend. Star Realms Colony Wars is coming! Colony Wars is a box set, with an all new 80 card trade deck, plays on its own as a complete 2 player game or combine it with the base Star Realms set for a 4 player game. Look for it in stores after Thanksgiving. Earlier this year the Gambit Expansion with 2 new Campaign chapters was added. Coming soon! Campaign sync across devices. Coming later this year – Crisis expansions! BoardGameGeek Star Realms League runs 4-6 week round robin tournaments, sign-up to join the upcoming season starting soon! 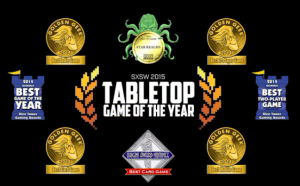 Megahaulin’ podcast with Star Realms interviews, news, tips and tricks. 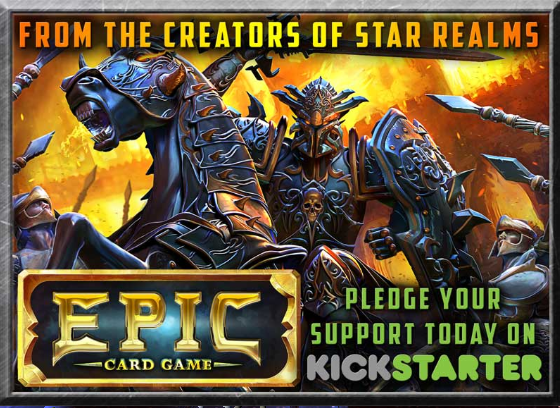 Many of our fans really wish they had backed Star Realms on Kickstarter, so we wanted to make sure that you knew about the launch of our newest game, Epic Card Game, on Kickstarter. Epic packs all the amazing game play and beautiful art of a trading card game in one little box at an unbelievably low price. A single $15 box of Epic allows up to four people to play draft or sealed again and again with great game play every single time. Check out our video and see why we have already been funded over 90% (so far…) since launching our Kickstarter campaign this morning. Looking forward to the new game and expansions.